“Going by the fact that “Sho Lee” is a global anthem, it’s undisputable that the success of the hit single will attract busy schedules and activities for the fastest rising star; SEAN TIZZLE. In the quest to keep all fans of SEAN TIZZLE up-close, Difference Entertainment presents “The Chronicles of SEAN TIZZLE” Episode Two. This is the second episode off the story arc and it contains some of the activities of “Mr Sho Lee” @iamseantizzle in the month of MAY. It’s a fusion of live performances, photo shoot, radio interviews, etc. 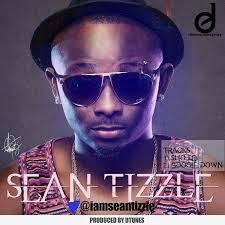 You would recall that the first episode of “The Chronicles of SEAN TIZZLE”, which is a compilation of SEAN TIZZLE’s activities in APRIL, was released in the month of MAY.